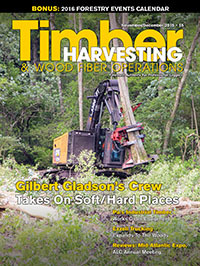 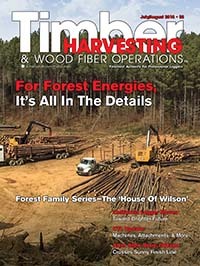 The November/December 2015 issue of Timber Harvesting magazine features New Bern, North Carolina’s Gladson Logging, New Galilee, Pennsylvania’s Industrial Timber and Pulp, Harrells, North Carolina’s Ezzell Trucking, and the recent Mid-Atlantic Logging & Biomass Expo…. 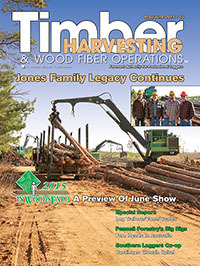 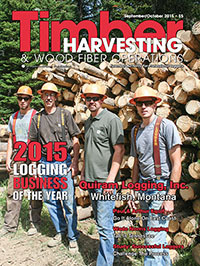 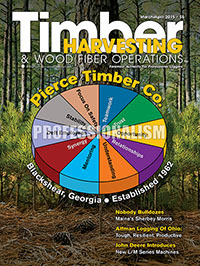 The January/February 2015 issue of Timber Harvesting magazine features the 2015 Equipment Directory, our annual comprehensive list of products, services, supplies, machinery manufacturers and suppliers, associations and trade shows. 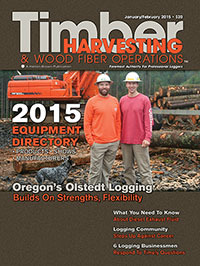 Also featured is Jewell, Oregon’s H.D….